What if doing less actually helped you make more money, be more productive, and get better results for your clients? 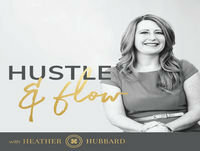 Even though our tendency is to hustle harder, doing even more often makes little to no difference. In an industry where being busy and exhausted is a badge of honor, this may seem like blasphemy... but it’s true. Listen to today’s episode to learn why you need to test this principle! PNTV - What to Say When You Talk to Yourself by Shad Helmstetter, Ph.D.